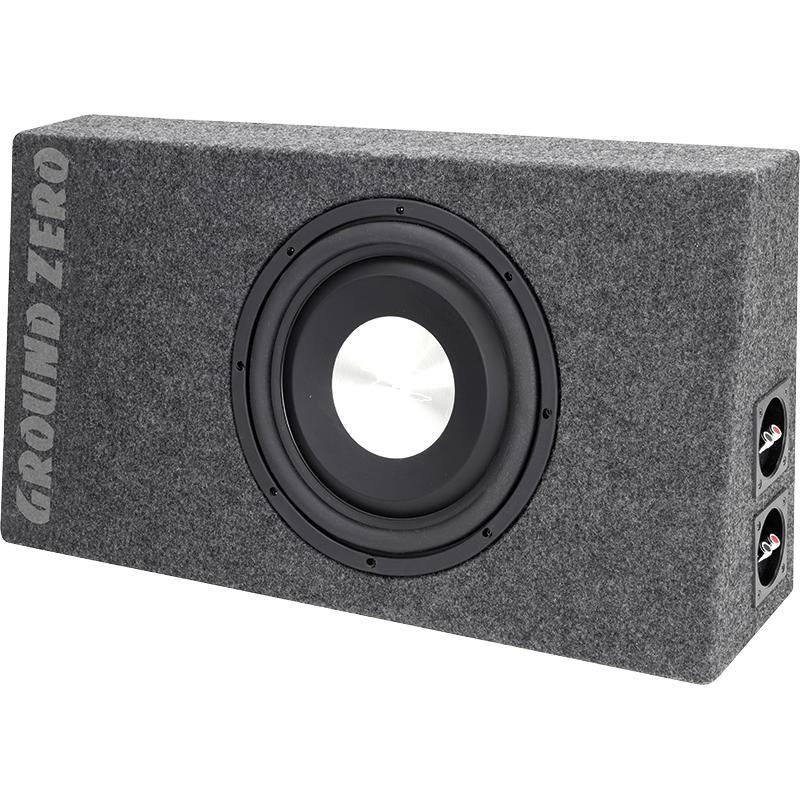 The new GZTB 120F is a particularly space-saving subwoofer enclosure with a beveled side and the flat 12” subwoofer GZTW 12F from the TITANIUM series. Thanks to its modest dimensions, the enclosure can be used at cramped installation positions or in the trunk of vehicles with loading-through option for the rear seats. The new GZCT 500IV-B is a high-performance compression tweeter with very high efficiency. 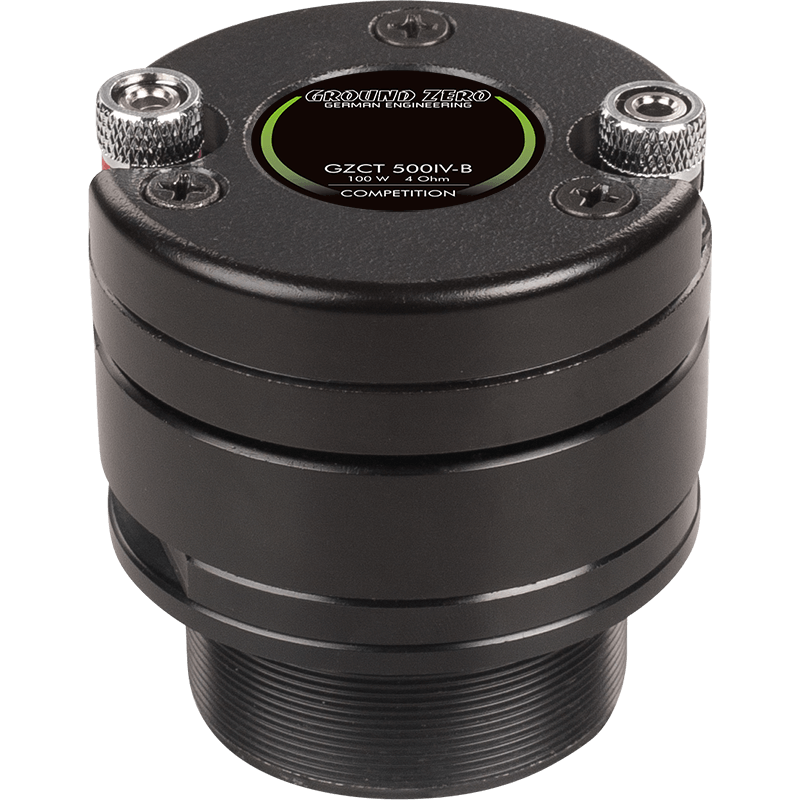 The black anodized aluminum housing is provided with a thread, which allows installation in any desired installation depth. The new BMW-specific 2-way speaker system offers an exceptionally good-sounding tweeter, whose frequency response was optimized for the original speaker positions. 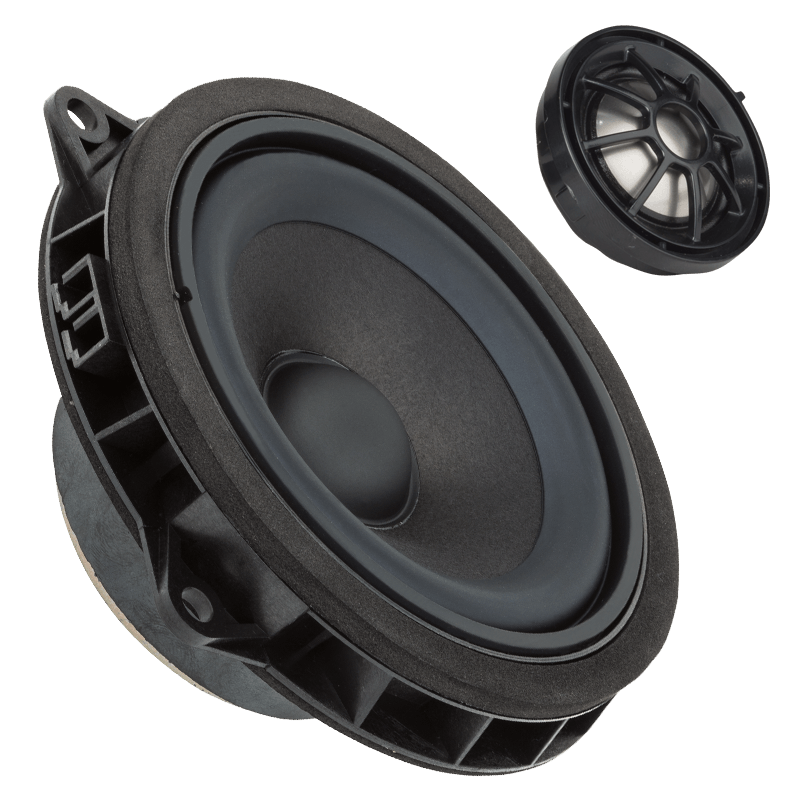 A coated silk dome provides in conjunction with the matching 4” midwoofer an impressive performance qualifying its name SQ +. The package contains a plug’n’play high-pass filter providing an even more precise and unadulterated playback when used without an additional amplifier. Of course, all connections are provided with the original plugs avoiding any change to the factory wiring.